Things are becoming a bit more real now that we’ve hit the year to go mark in our wedding planning journey and our big day is starting to seem a whole lot closer than we thought. Hopefully this week we’ll be able to get down to the register office to announce our intent to marry. It’ll be all legal and stuff after that. Ooer! One of things that had us most baffled in the planning process was our wedding stationery. There are so many different ideas out there and so many weird and wonderful ways to tell people about you wedding that we didn’t even know where to start. 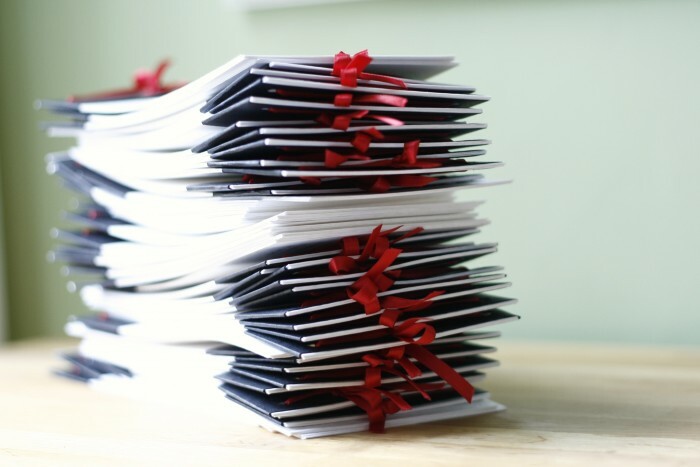 We wanted to set a precedent with our wedding stationery. To let people know that it isn’t going to be the fussy, formal affair that you immediately think of when it comes to weddings. Neither Tom nor I are particularly good at formal gatherings. We’re both too clumsy and ungainly for that level of expectation so we thought we may as well let people know what to expect from the off. We also wanted to put the idea that our wedding is going to be in Liverpool in to people’s heads. Yes, we live in London and most of Tom’s friends and family are in Hertfordshire but I couldn’t imagine getting married anywhere but my home town. Luckily for us, Liverpool means a lot to both of us. Tom used to go to university up there and it’s where we met so he was more than happy to have our wedding there. So they were pretty much the only ideas we had to go forward with the design of our wedding stationery. Well, that and our colour scheme. It was pretty overwhelming let me tell you. 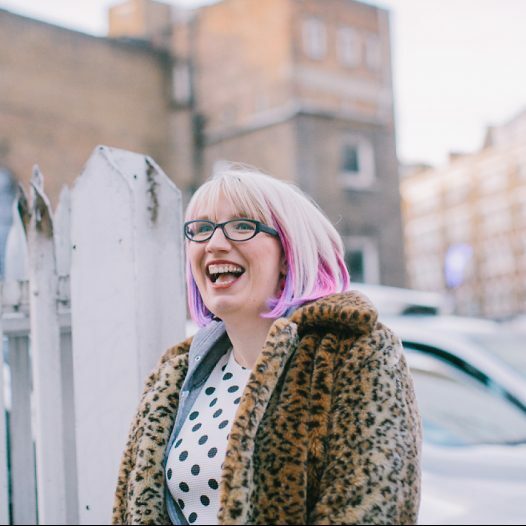 Anyway, being the very lucky girl I am, I have a rather fabulous friend in the shape of Lol Ellison, illustrator and graphic designer extraordinaire. This lovely lady shape is actually something important to do with planes in the RAF but returns to her first love and degree subject in her spare time and in she stepped to design our rather marvelous wedding stationery. We gave her total free rein with our ideas and she did us proud. As we sent out our save the date cards a week or so ago now I thought I’d share them with you. She’s still working on our invitations but what I’ve seen of them so far we’ve been blown away. Our only other request was that these were to be postcards and I think she’s done us proud. 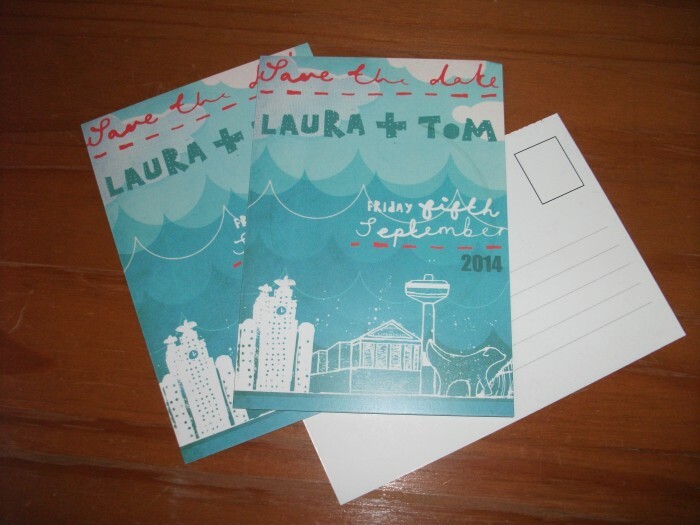 From the hand drawn font she designed for us to the Liverpool landmarks she drew we love everything about our save the date postcards and we hope our guests feel the same. I love those save the date cards! It really is overwhelming trying to pick everything out but these look great. Glad you have a friend to help you out.